Dying bats led to a squandered season, but potential remains. 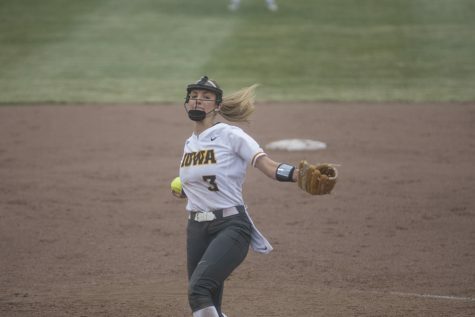 The 2018 Iowa softball season can only be described one way: disappointing. Through March 28, the Hawkeyes were one game above .500, an impressive feat with four ranked teams on the schedule. After taking wins from No. 8 Baylor, No. 13 Arizona State, and No. 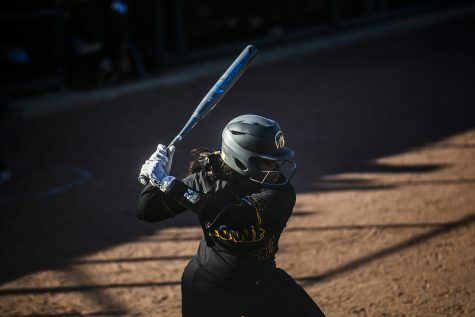 17 Michigan, the toughest games turned into light at the end of the tunnel for a notorious-for-struggling softball squad. In previous seasons, the struggle with defense and a lack of offense made many of the Hawkeyes’ losses close. Through the first two months, the defense stepped up, and the bats backed up stellar pitching performances. On the road for three games at Maryland moved the Hawkeye reputation from having the ability to compete with anyone to a squad playing to its opponents’ level. 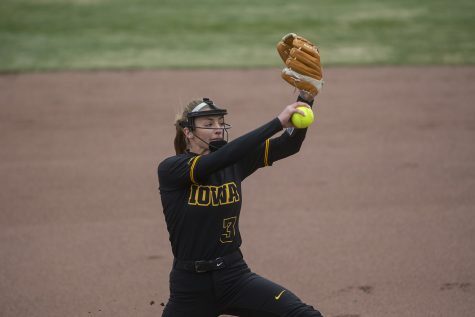 In the two games that featured ace Allison Doocy on the mound, Iowa lost by only 1 run. 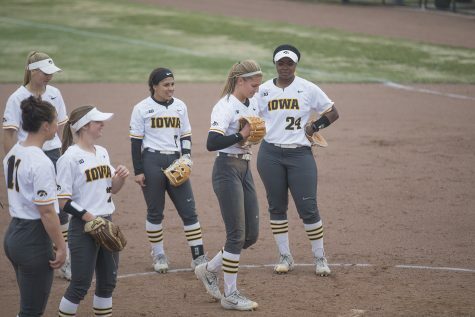 The first game of the series went to 11 innings as result of a lack of late-inning offense, giving Hawkeye fans a glimpse at what would ultimately be the team’s downfall. Iowa redeemed itself and proved to be a decent ballclub in a timely fashion, sweeping Wisconsin in the next Big Ten series at home. The offense boomed with a multi-home run series finale, its first since 2016. A win against Nebraska put Iowa over .500, but only for about two hours. The second game against the Huskers was the beginning of the end for Iowa’s hopes of an even season. A team that went 19-17 in the first two-thirds of the season finished with only one win in its last 15 regular-season games. 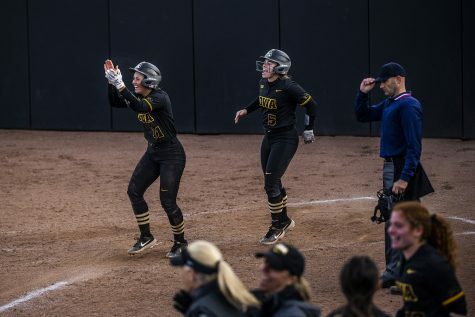 A 10-game losing skid from April 10 to April 27 surprisingly wasn’t the lowest low in recent Hawkeye softball history, with the 2017 squad going 16-consecutive games without a win. The offensive leaderboard shifted, leading to a drop-in play. 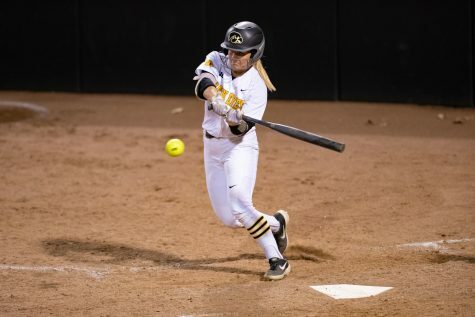 Junior first baseman Mallory Kilian led the charge with a .301 batting average through the first game at Nebraska, but she ended the season at .275. 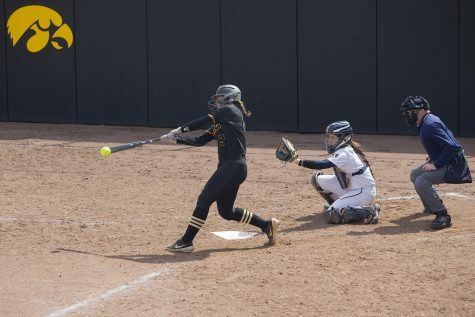 Center fielder Allie Wood raised her average from .294 to .305 in her final college season to pick up the offense late. Despite the disappointing end to a potential contending season, Iowa ended being swept by Purdue with the final seed in the Big Ten Tournament. 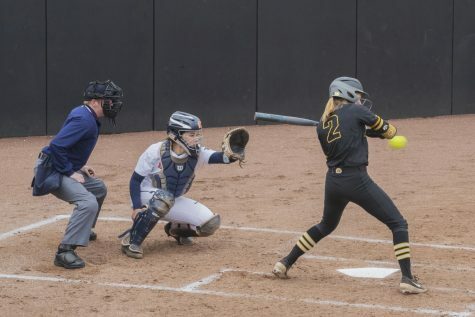 The stunning lack of offense against the Boilermakers resulted in 19 scoreless innings to finish off the schedule, but with the team’s track record, it was anyone’s bet how the tournament matchup against 5-seed Ohio State would go. Doocy, being Iowa’s one and only consistent highlight for the season, showed up to throw one of her best games on the year in the opening round of the Big Ten Tournament. 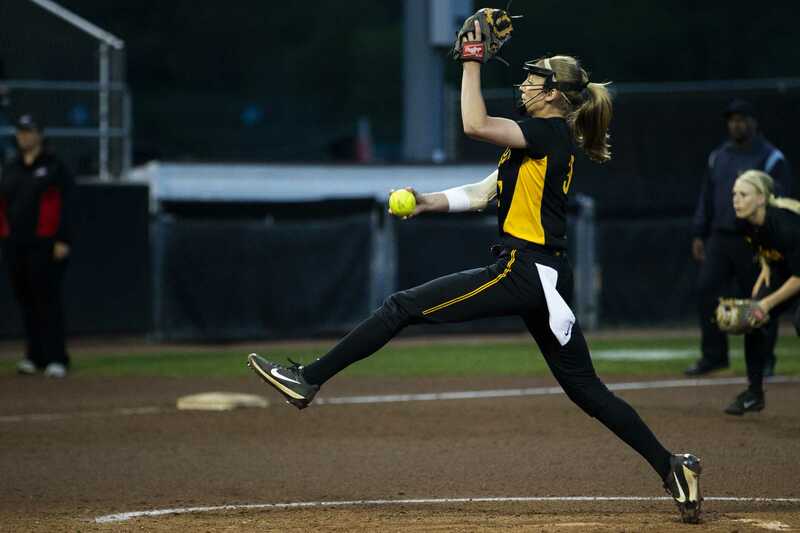 In seven innings, she allowed only 1 run on 5 hits, with a career-best-tying 15-strikeouts. The offense also showed up to back her, collecting 4 runs in the top of the seventh inning for the win. Two days later, the bats disappeared again. 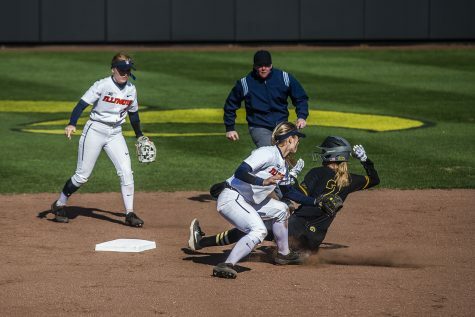 Iowa collected only 3 hits in seven innings against 4-seed Northwestern, 2 of which came in the first inning. Doocy allowed only 2 runs in the 1-run, extra-inning loss. Four days after the end of the season, head coach Marla Looper resigned. 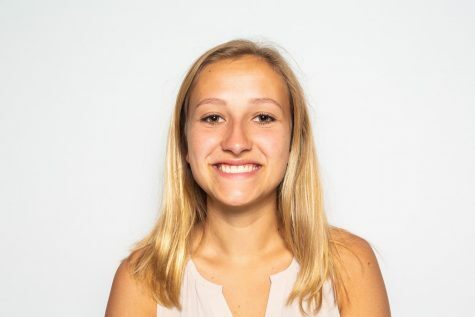 The culture and reputation of the program are expected to change with the signing of Renee Gillispie as Looper’s successor.